What Does It Mean to Call a Wiccan a Fluffbunny? It's happened to most of us in the Wiccan and Pagan communities. We post something in a forum somewhere, and within seconds of hitting ENTER, someone pounces and calls us a Fluffy Bunny. It's sometimes traumatizing, especially for new folks, because really, you have no idea what you did wrong. It sounds cute, but you know deep down that it's meant as an insult... but what does it really mean? Ah, yes, the legend of the Fluffy Bunny. Many many moons ago, when the Internet was without form, and void, there was a magical place known as the chat room. And lo, that place became a haven of knowledge for many Seekers of the occult arts. They came from far and wide, from around the globe, both veterans of the many Pagan traditions, and those who had watched many episodes of Charmed and thought perhaps they too might cast a spell. It was here that the Fluffy Bunny was born. 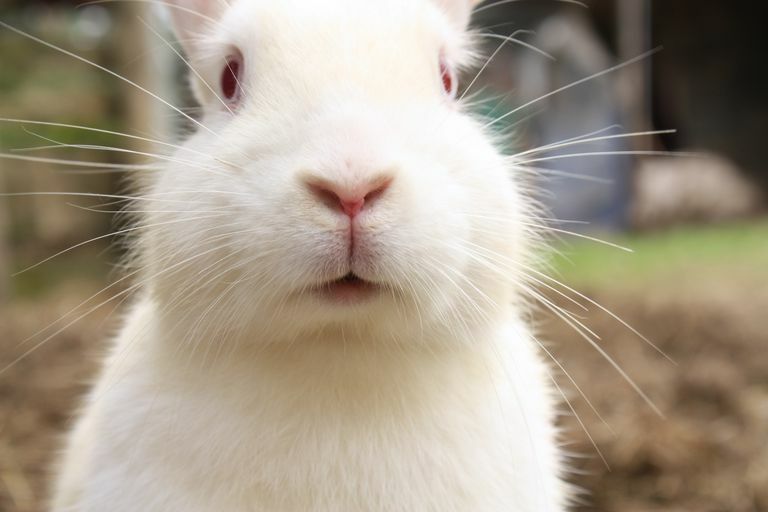 In general, “fluffy bunny,” or “fluffbunny,” is a derogatory term used to apply to members of the Pagan community who (1) insist that they know everything they need to know, (2) often make blanket statements about what “real Pagans” do and don’t do, and (3) flat-out refuse to acknowledge that people who think differently from them can be Pagan too. Often these are people who are big fans of “love and light” and tend to condemn anyone who doesn’t follow the Wiccan Rede - never mind the fact that not everyone is Wiccan, and even those who are don’t always follow it. Sometimes it will be someone who insists that disagreement means people are intolerant, or “bullies.” It can also be a person who says that anyone who’s not all white light and goodness can’t possibly be a “true Pagan.” For a more detailed description, be sure to read Catherine Beyer's awesome essay over at Wicca for the Rest of Us. Does being a “newbie” make you a fluffy bunny? No, not at all! We were all newbies once, right? Likewise, being a follower of a positive, life-affirming and light-filled path doesn’t make you fluffy either - for many people, that “white light” path is the perfect spiritual journey, and if it works for you, that's fantastic. However, refusing to believe that anything other than your way is a valid one … well, that definitely could make you a candidate for fluffiness. Finally, understand that differing opinion does not mean a flame war - it simply means differing opinion. For instance, if you say, “I believe all gods are one,” and I reply with, “That’s very interesting. I’m a hard polytheist and I’ve always believed that each god is an individual entity,” then I am not fighting with you. I’m not hating on you or being intolerant or bullying you or being a meanie poo-poo-head. It means I see things differently. I also respect your right to believe something other than what I do - and I’d like you to show me the same courtesy in return. So, should you be upset if someone calls you fluffy? Probably. But it’s also important to look inside, and figure out why you were called that in the first place. Was the person who used the term just being a jerk (which is totally possible), or could you benefit from a bit of self-evaluation? Don't want to be labeled as fluffy? Don't worry - you can avoid it. For starters, read lots of things. Lots of different things. Expand your horizons with The About Pagan/Wiccan Reading Lists. In addition to checking out these reading lists, it's important to make smart reading choices. Learn how to determine which of the thousands of books out there are Books Worth Reading. Also, give yourself a shot at living a magical lifestyle every day, not just when you need or want something. Understand that sometimes, spiritual growth requires effort. Finally, do yourself a favor, and make sure you're becoming Pagan for the right reasons - don't fall into the trap of one of these Ten Reasons Not To Be Pagan. The bottom line? If someone calls you Fluffy, don't panic. It's possible they're just mean, but it's also possible that you're exhibiting classic Fluffy Bunny behavior. If that's the case, take a few moments to really think about what you're doing and saying, and how your words may come across to other people. If you're new, don't sweat it too much - but remember that you've always got time to learn and grow and develop, without making sweeping judgments about others.